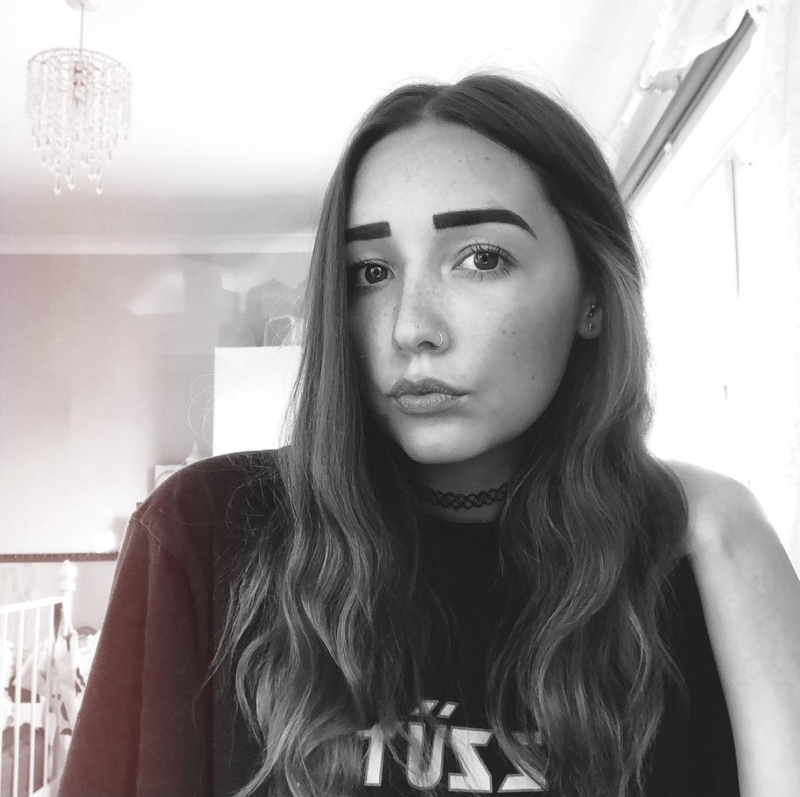 Hiya! 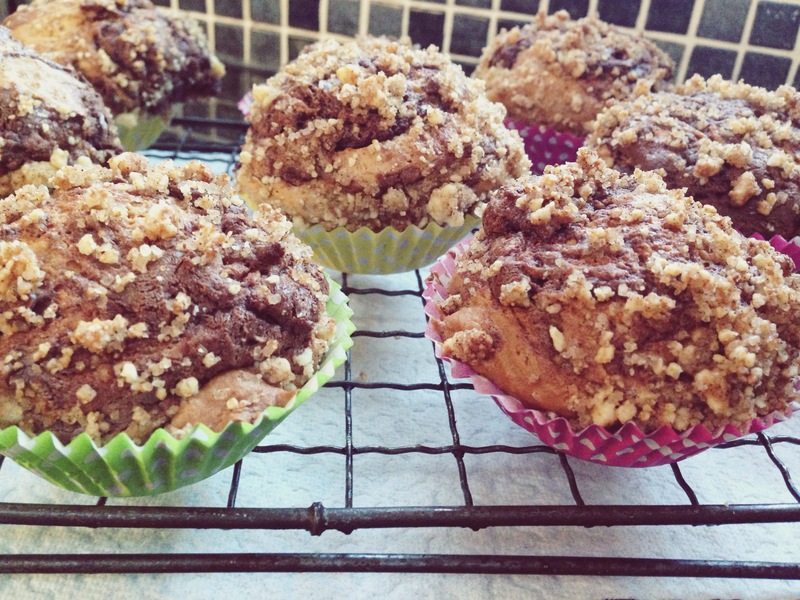 As promised, many days ago, here’s my banana & nutella swirl muffin recipe. Happy baking!! • OPTIONAL: I added about 30-50ml milk as I felt the mixture was too thick. But this is down to personal choice! • Preheat your oven to 180 degrees centigrade / 350 degrees farenheit / gas mark 4. • Grease a muffin tray (or two as you need 16 cases) and add the cases. 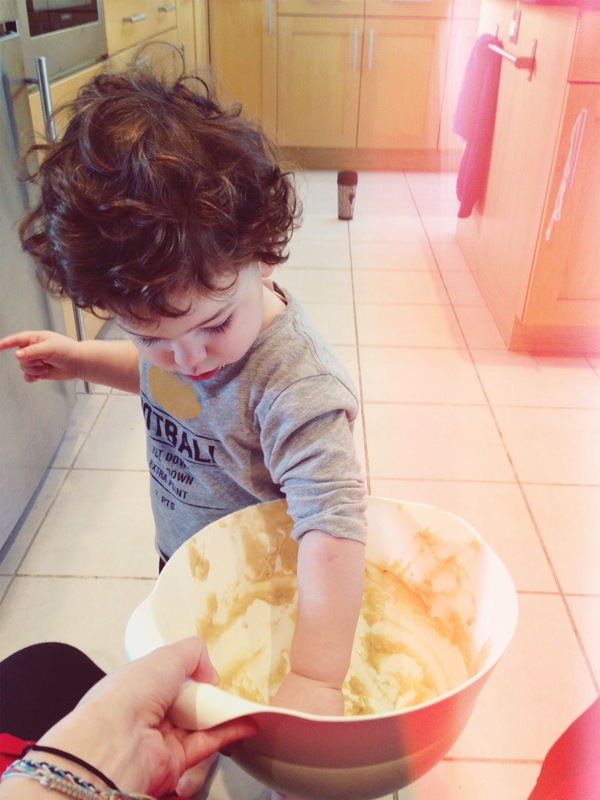 • Mix the flour, baking powder, baking soda and salt together in a medium sized bowl. • In another larger bowl, mash the 3 bananas to whichever consistency suits you – I left it quite lumpy so I had larger bits of banana inside the muffins. Then add your sugar, egg, oil and vanilla extract. Mix until you get a smooth consistency. • Sift in the dry ingredients (the flour etc) into the banana mix until all is combined. • Pour evenly into your muffin cases. • Heat your nutella for 1 minute (in the microwave) or until runny on a Bain-Marie and then add a teaspoon onto the top of each muffin. 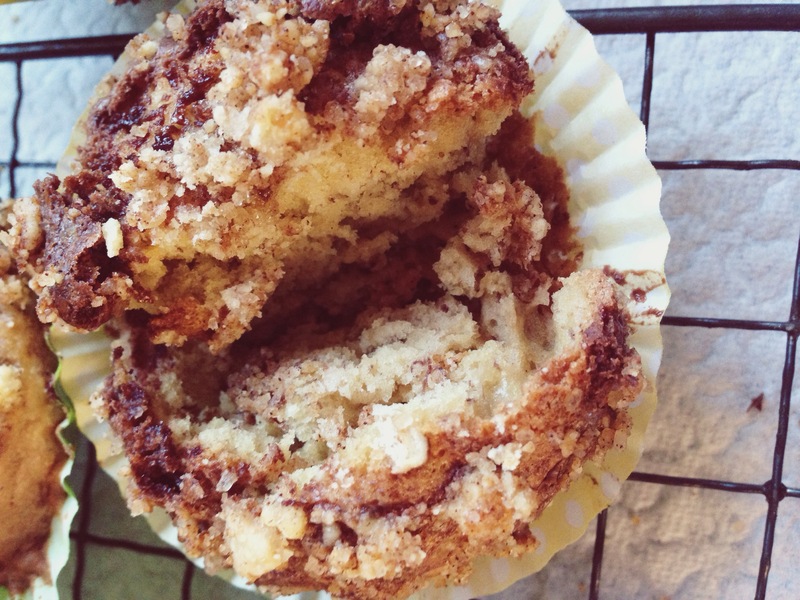 Grab a toothpick/baking spike and swirl the nutella into the muffin mixture. • Add your sweet crumble top – if you’ve decided to go for it. Then bake for 20-25 minutes. (Remember to prick the largest muffin in the centre to make sure they’re all cooked through). 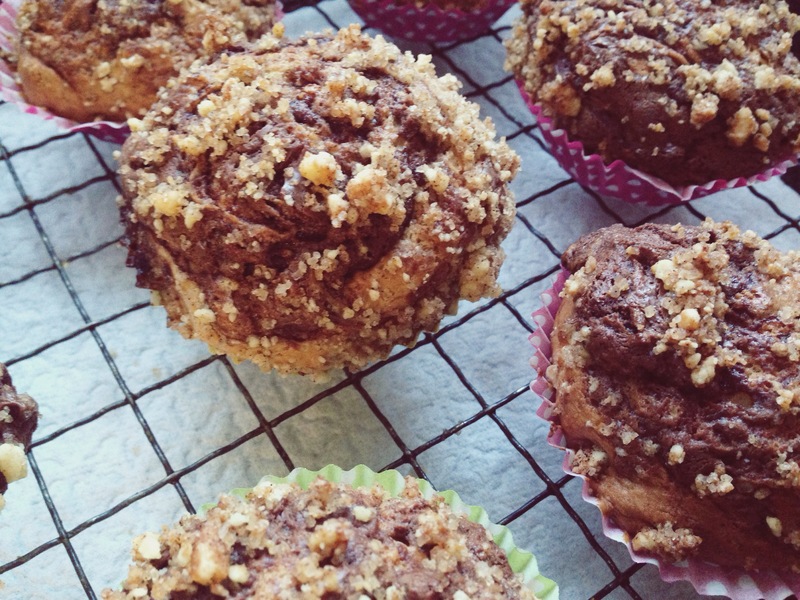 I’d love to see your finished muffins – tag me on insta or send me some photos?